Temperature control is crucial for many molecular biology and ADMET applications, both on and off the worktable. 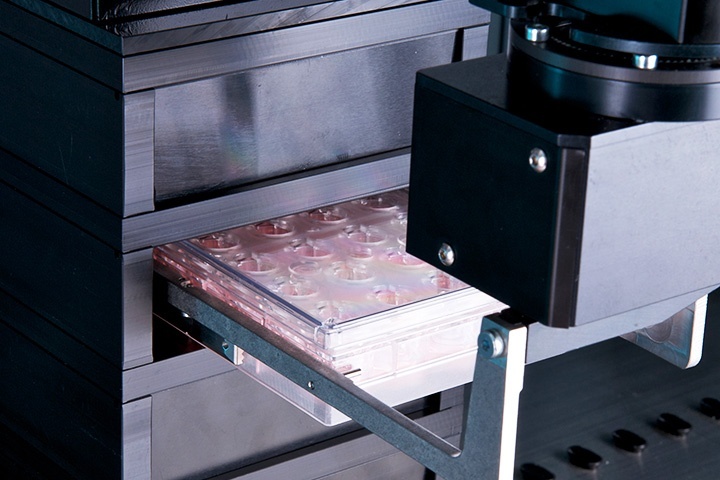 Tecans MIO – monitored incubation option – (RT +5 to 60 °C) provides incubation for four or six microplates on the workdeck, with or without shaking, and is ideally suited to ELISA and cell-based assay applications. Tecan's Freedom EVO® platforms allow incubators to be positioned at the side, behind, in front and even below the worktable, to save on valuable laboratory space. The robotic manipulator arm accesses plates through an access hole in the worktable. Several incubator modules may be combined to provide different temperatures and environmental conditions. Temperature-controlled carriers are also available for reagent and media reservoirs, tubes and plates. The Monitored Incubator Option (MIO) series is available for the incubation of standard microplates, including inserts, lids and half-height plates, such as cell permeability plates. The incubation time is precisely controlled by the software (Freedom EVOware® scheduling software) to ensure that incubation is accurately scheduled and that the temperature is monitored and logged, guaranteeing the same process steps for every microplate. The RoMa is moving a micro plate into a MIO for subsequent incubation including shaking.